Dinghy is a new mobile-first, on-demand insurance provider for freelance professionals. The company announced today their $1.2M seed round, led by Balderton Capital and joined by industry angel investors and ReSolution Underwriting Partnerships. 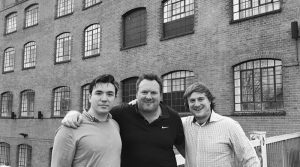 The Dinghy co-founders — Edward Woodcock, Rob Hartley and Ben Wilks, who have between them 39 years of industry and tech experience —understand, from their own experience, that getting insurance suitable for freelancers is both slow and difficult and potentially involves wasted time and money. The company seeks to offer insurance fully adapted to the unique nature of the freelance lifestyle. How? With a 'pay as you use' model that can be adjusted during working and non-working periods, and a fast service with quotes in less than 40 seconds, policies in less than 90 seconds, 24/7 claims handling, and replacement equipment within 24 hours (or a cash settlement). The traditional insurance model just doesn’t provide the affordable and flexible cover that many freelancers need to fit their own flexible way of working. There is a huge opportunity for a company that offers Professional Indemnity and other policies on a ‘pay as you use’ model, which the Dinghy founders understand deeply through their unique combination of insurance and freelance experience. Read Rob's background on the investment on his Medium. Read the Techcrunch article about the Dinghy investment news.